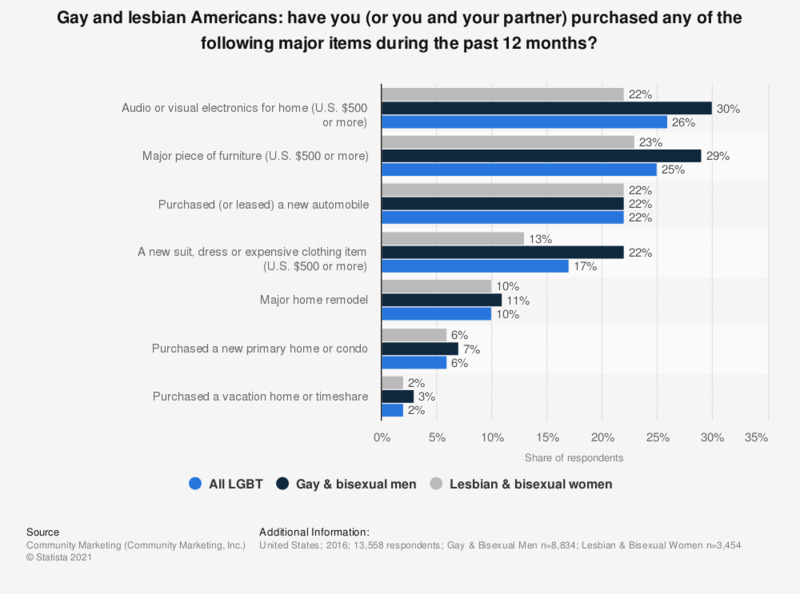 This statistic shows the results of a survey among gay men and lesbian women in the United States regarding their major purchases during the last twelve months. The survey was conducted in 2016. According to the source, 22 percent of the lesbian respondents and 30 percent of the gay respondents reported to have bought audio or visual electronics for their home during the past 12 months.